Cree’s entry into the consumer LED light bulb market sent waves through a lighting community that knew the Durham, NC, company as a supplier, not a seller of LED lighting components. The announcement last year was also news to a smaller group intimately familiar with Cree (NASDAQ: CREE)—the company’s employees. Companies often develop new products in stealth to keep them away from the prying eyes of competitors. But Chuck Swoboda, Cree’s CEO, says the LED bulb was a stealth project even within the company. A small team developed the bulb working from an unmarked building apart from Cree’s main operations. “On the day of the launch, less than 200 people in the company knew about the product,” Swoboda recalls. Swoboda was one of the high-profile technology leaders who spoke about entrepreneurship and innovation during CED’s Tech Venture Conference, which drew more than 700 people to Raleigh, NC, last week. But Swoboda was even more revealing on the eve of the conference, speaking to a much smaller audience at the University of North Carolina at Chapel Hill’s Kenan-Flagler Business School. There, Swoboda told the backstory of how Cree developed the consumer LED (light-emitting diode) bulb. He also hinted at lighting opportunities ahead. For most of its history, Cree was not a lighting company. Cree was established in 1987 based on semiconductor technology originally developed at NC State University. Cree developed the first blue light-emitting diode. Before then, LEDs were available in red, yellow, orange, and green. Blue LEDs meant electronics companies could create electronic displays using the full spectrum of color. Today, sales of LED chips and related products are the company’s top business. Its LED products division generated $833.7 million in fiscal 2014 revenue. Cree entered the LED lighting business in 2008, acquiring LED Lighting Fixtures (LLF) in a cash and stock deal valued at up to $103.4 million. The Morrisville, NC, startup, which sold LED lighting to builders in commercial and residential construction, was founded by Neal Hunter, Cree’s co-founder and second CEO (who had left the company in 2005). Following the acquisition, Hunter rejoined Cree as president of a newly created division, LED Lighting Solutions. Three years later, Cree’s lighting reach expanded again with a $525 million acquisition of Rudd Lighting, a Racine, WI, company whose LED lighting fixtures were used outdoors in street lights, as well as in retail spaces. Cree employs more than 1,000 in Wisconsin today. Cree touted LED lighting’s advantages: longer life, less heat, and energy savings when compared to traditional lighting. Even as this business grew, Cree’s focus was on selling to other companies that used Cree products in the fixtures they sold. 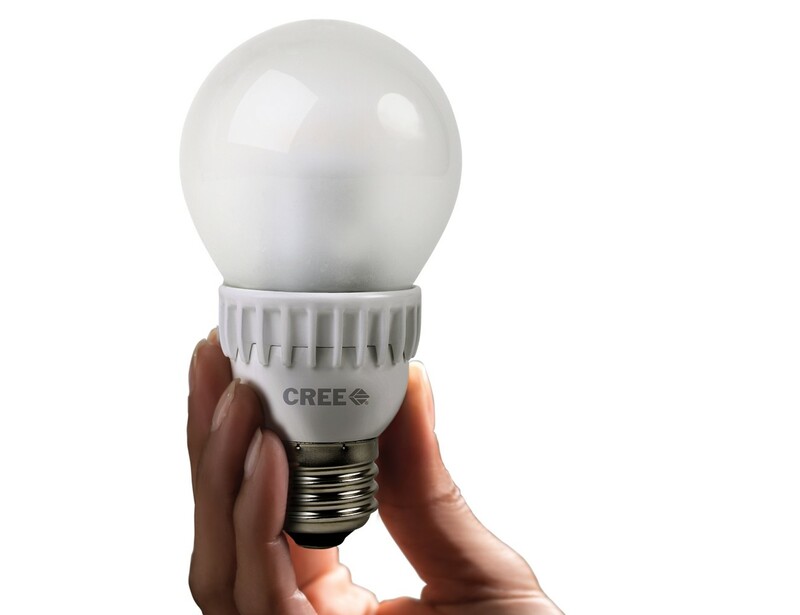 Swoboda says Cree initially had no plans to sell consumer LED bulbs of its own, a move that would have placed Cree in competition with its customers. Instead, Swoboda says Cree spent two years trying to convince lighting companies to sell them. They declined, telling Swoboda that consumers weren’t asking for LED bulbs. I’m curious why Swoboda spoke with Lowe’s and ended up with a contract at Home Depot. It would be nice if Cree were able to expand their sales to Lowe’s and Walmart. Thanks Frank for this article. I like it.